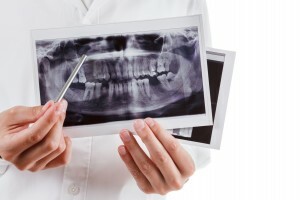 Often times, oral health can be addressed with a single procedure or short-term treatment plan. In certain situations, however, a patient may require a full mouth restoration to return the mouth to full function. 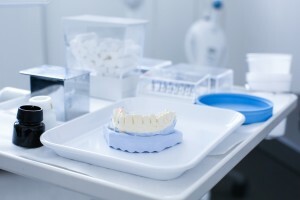 A full mouth restoration, also referred to as full mouth reconstruction or full mouth rehabilitation, typically involves a number of dentists and specialists carrying out various procedures. It may include general and restorative dentists, periodontists, oral surgeons, orthodontists, and/or endodontists. The goal is to restore your jaw, teeth and gums to full function, and give you the smile that you desire. Who Would Benefit from a Full Restoration? Before planning any type of full mouth restoration, your dentist will conduct a comprehensive examination of your mouth to determine the extent of your problem(s) and any potential treatment options. Every full mouth restoration is unique. Examinations take place over time, include x-rays and other diagnostic techniques, and may involve multiple specialists. At times, a special type of dentist known as a prosthodontist may take the lead in overseeing your treatment. Prosthodontists are specially trained in the complexity of full restorations and can serve as the “architect” of your treatment plan. As you can imagine, a complete treatment plan takes place over time – perhaps taking a year or longer. If you and your dentist decide that a full mouth restoration is the best option available, it is important to discuss the cost of care and what is covered by your dental insurance. Additionally, you can discuss the mental and emotional repercussions of undergoing such an extensive and time-consuming set of procedures. If you believe you would benefit from a full mouth restoration, make an appointment today with the Yuba City Dentistry Group and we would be happy to schedule an initial examination and consultation.